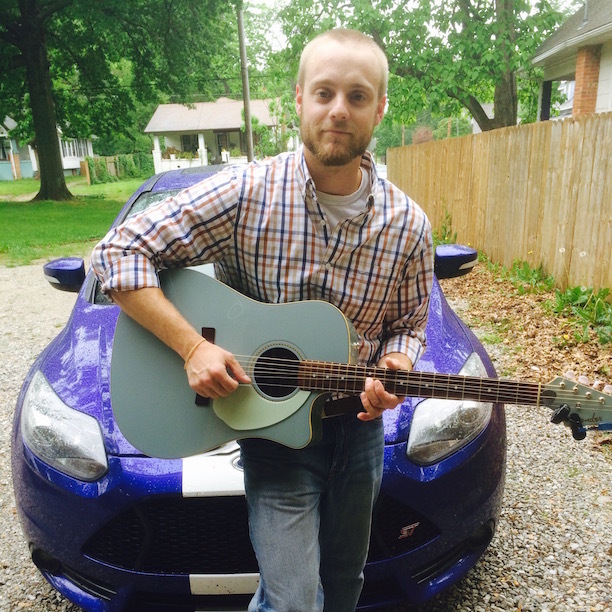 Zack is a guitarist, saxophonist, and songwriter from De Soto, Missouri. He started playing guitar at nine years old and sax when he was twelve. He has performed with multiple music groups since his early teens, including jazz combos and rock/metal bands. His favorite thing to do in his spare time is improvising guitar solos to popular songs. In high school, Zack was the lead guitarist for his jazz ensemble, played the baritone sax for two years in concert and marching band, and also sang for three years in concert choir. 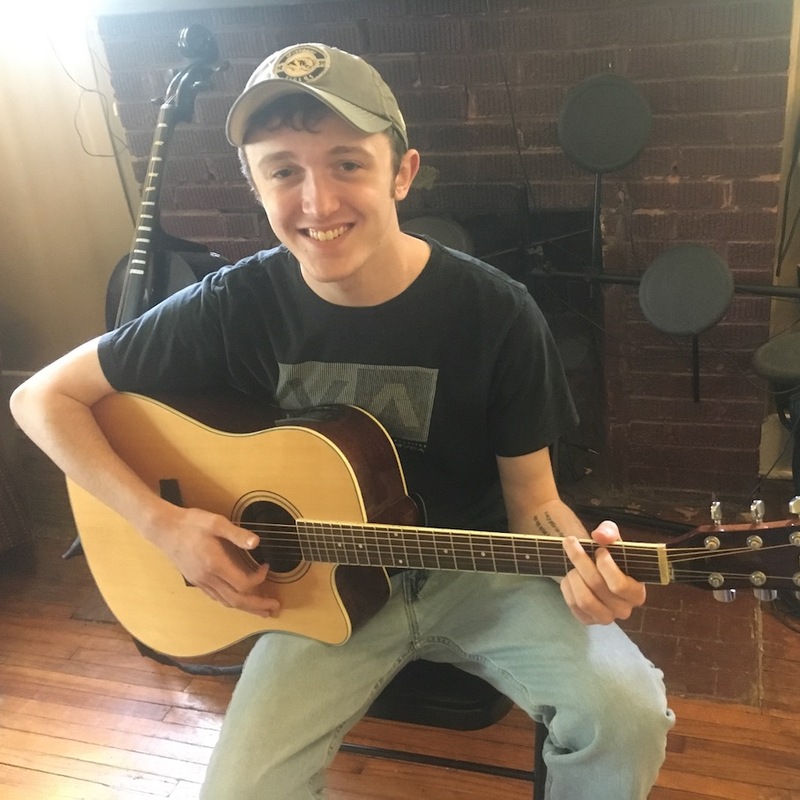 He is attending the University of Missouri for a degree in astrophysics and mathematics, but one of his greatest passions is teaching and playing music. Stephen is a guitarist and pianist from O Fallon, Missouri. He has been playing music every day for hours a day for over ten years. He studied music in college and is currently a senior at MU getting his bachelors degree. He has played with choirs, jazz bands, rock bands, and many other types of bands. He has studied Jazz, classical, rock, country, folk, bluegrass, funk, experimental, and many other types of musical genres in the world. He loves to jam with friends, improvise along with whatever comes on the radio, performing, and figuring out how to learn songs by ear. In his spare time, he reads all kinds of books including science fiction and history, and hangs out with his cat Jaspurr. Chelsea has been playing violin since she was 3 years old and was trained in Suzuki violin and Missouri fiddling throughout childhood. She travelled and performed with a bluegrass band where she learned to play mandolin, guitar, and ukulele. Chelsea has been teaching private music lessons to all ages since 2008. She has also volunteered as a band mentor and guitar instructor for COMO girl&apos;s rock as well as contest judge for local fiddle contests. Her focus styles include Missouri style fiddling, bluegrass, Christian worship, classical, singer/songwriter, folk, and country. Outside of lessons she enjoys playing ukulele with her 7 year old son and slinging espresso at Fretboard coffee. Uriah Carter is a guitarist from Oklahoma City, Oklahoma. He was raised by his grandparents in rural Choctaw, Oklahoma, where he loved to sing and discover new music on the radio. In 7th grade he joined his school choir, and was accepted into the East Central Oklahoma Choral District Association (ECOCDA). He also participated in his church bell choir, traveling to perform around Oklahoma, Texas, and Colorado. Uriah comes from a family of music-lovers, and he purchased his first Arbor electric guitar and Fender amp, and began learning. Years later, he sold his first car to purchase the guitar he still uses today, his Schecter C-1 Classic. Uriah has two Associate&apos;s degrees: one in Enterprise Development; the other in Cyber Security. Although his young-adult career was centered on computers, Uriah is following his true passion and now teaches music. Uriah enjoys listening to, playing, writing, and teaching music. He is also active in Columbia&apos;s Yoga community, and believes in living a life of progress and self-betterment. At an early age his older musical sister taught him to read music and he was immediately hooked. By age 11 he spent hours on the piano learning every song and style he heard and loved. In his teens, he was gifted a classical guitar and quickly developed the ability to learn songs and complex chord arrangements by ear on the guitar. 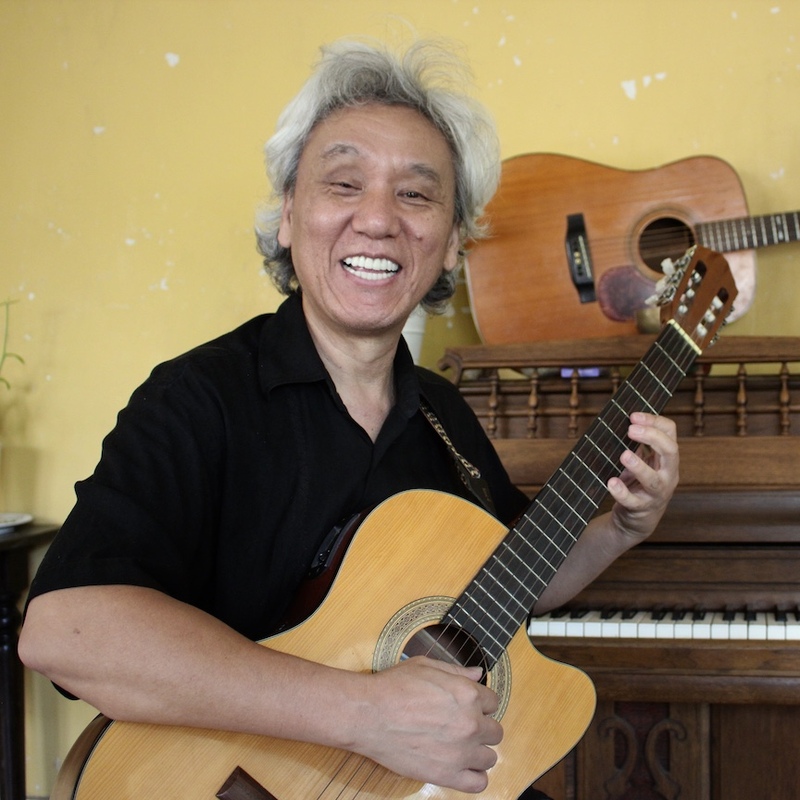 Although he loves playing and teaching all different genres, his forte is classical and finger styles. Professionally, Phiya is a macrobiotic educator and has worked in the natural and organic foods industry his entire life. Through the years, in his spare time and as a hobby, he strove to advance his musical skills whenever he could, focusing more recently on jazz piano improvisation and expanding his Brazilian, Spanish and classical guitar. Through the years he has met and been inspired by many musicians who sees music as the universal language that brings people together. Phiya loves teaching music at A Major which combines his background in education and his passion for music. He looks forward to meeting and joining others on this amazing journey of discovery and exploration known as music. Tyler is a trained and professional guitarist who entered his six-stringed journey after a live album blew his mind. He has a specific taste for an overdriven blues tone, but loves all genres of music from acoustic fingerpicking to progressive rock. Years of vocal experience help give Tyler an ear for notes, and leads to some great jam sessions. Born and raised in central Missouri, Tyler is a 2014 Mizzou Alum who has not missed many home football games since 1991. With a wide variety of hobbies and skills from working on cars to videography, Tyler is easy to get along with and a patient teacher you are sure to have a fun time learning from. Owning a small business gives Tyler a fair amount of scheduling flexibility, you can schedule appointments with him during weekday afternoons and evenings. Fill out a contact form to get in touch! Greg Allers is an experienced instructor and founder of A Major Music Lessons and teaches Guitar, Bass, Drums, Vocals, Theory, Improvisation and Song Writing. 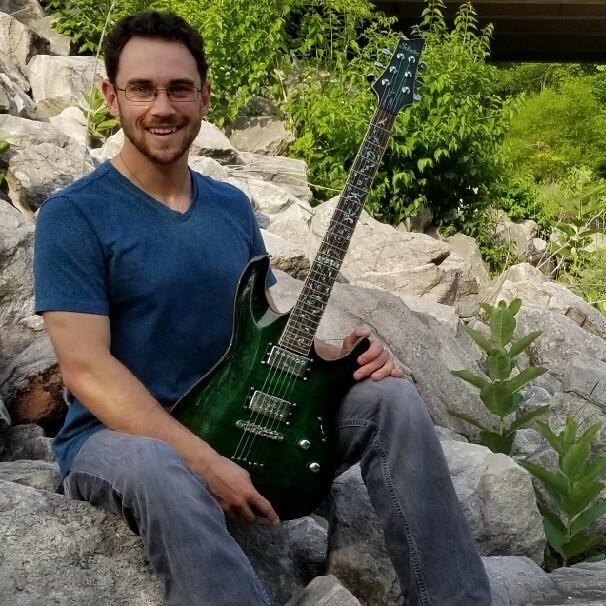 Greg has been playing guitar since he was 12 years old, comes from a musical family, has played in multiple bands during this time, and has a degree in music theory. Greg has been teaching music professionally since 2008 and over the years he developed teaching strategies and values. Values as simple as always being friendly, caring about your students, teaching them what they want, being consistent, on time, and flexible! 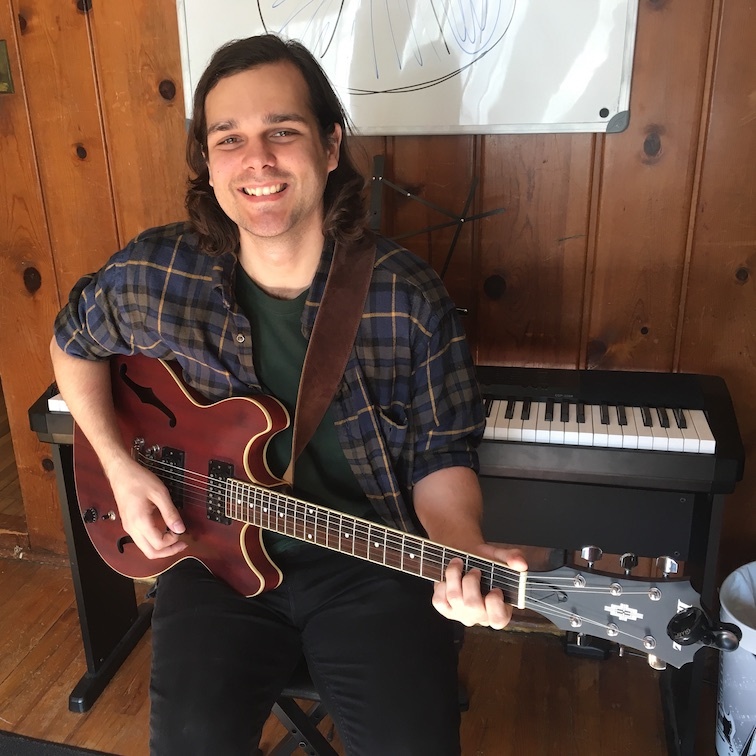 Greg had to stop accepting new private lesson students since he graduated from MU with a mechanical and aerospace engineering degree in 2014, but he loves teaching and spreading the joy of music so he continues to do so by running A Major Music. He helps other teachers that he believes in by training them on his knowledge of music and tactics for teaching that he developed over the years. He holds those teachers to his standard of quality and helps them have the music career he feels so fortunate to have had.